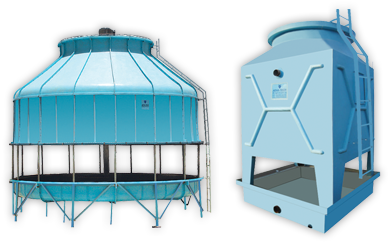 The "ADVA-TECH" FRP round bottle type and square type cooling towers operate on the counterflow principle which gives the best performances. 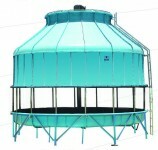 The air flow through the tower i nfi II is opposed to the water flow. The cold air meets the cooled water at the bottom ofthe infill providing maximum evaporation and heat transfer inthe infill. 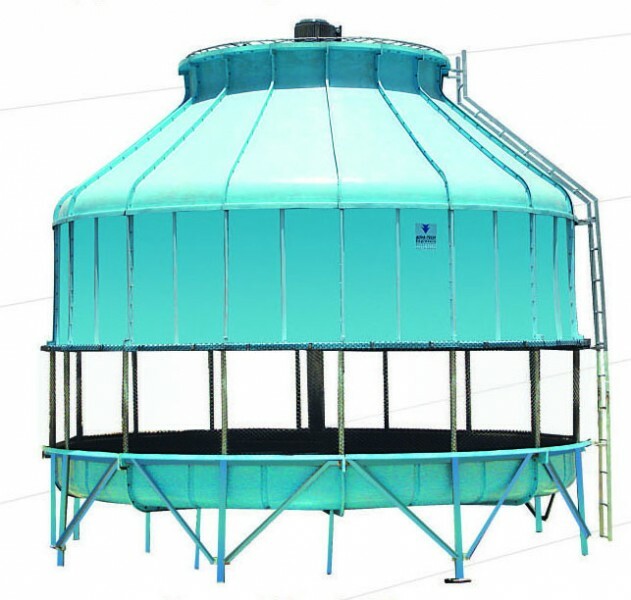 The tower casing is made of though fiberglass reinforced plastic (FRP) and has sufficient structural strength to withstand high wind velocities and vibrations the portion of casing housing. 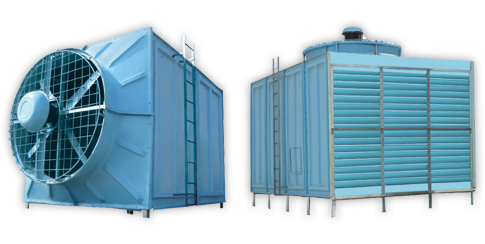 The water collection sump, also of FRP, is leak - proof and avoids water spillage. 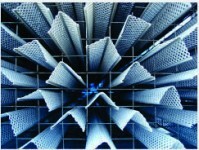 The fill is of rigid PVC and is of honeycomb design with large contact area. The fills splits the air and water into several streams, increasing the time of contact and also heat transfer between water and air. 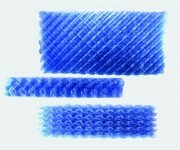 We can supply HIPS and ABS material fills for high temperature applications. 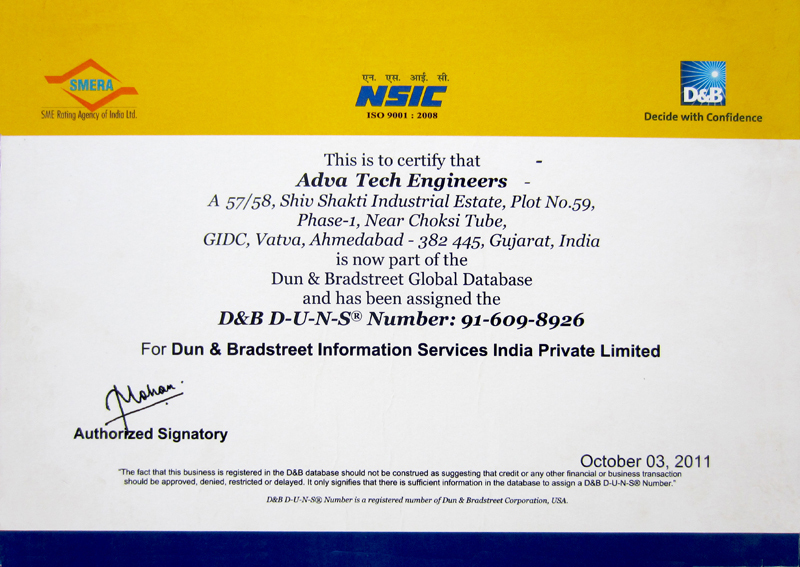 The water distribution system is fixed type and it is made of GI pipes with multiple branches and plastic spray nozzles. It is designed forvery low pressure drop and uniform distribution of water overfill area. 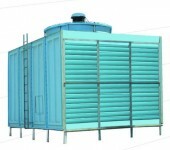 We can supply automatic rotary sprin kler system for round bottle type cooling towers. 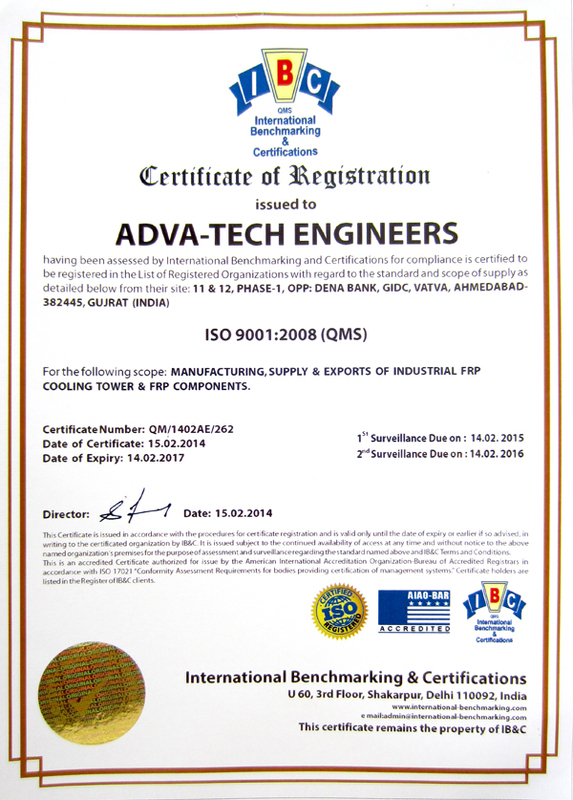 Specially designed energy efficient axial typefans with adjustable pitch, made of cast aluminium alloy or FRP. 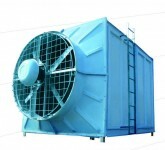 It is specially designed for low running cost and low noise level. Totally enclosed TENC type flanged mounted motor, with extended threaded shaft and having IP-55 degree of protection and are specially designed for cooling tower application. All supporting steel members are hot-dip galvanized to minimize rusting and corrosion ensuring long service life even in corrosive atmosphere.